COLE is in its second year at Corvian Community School. COLE stands for Conjunction of Literacy Engagement and is similar to Battle of the Books. This club is a great way to get students involved with reading and be able to demonstrate their comprehension of texts. Students will read from a pre-determined list of books and get to compete against other schools. Students meet once a week to practice learning authors and answer mock questions to prepare for the final competition. The 2019 COLE competition was Thursday, April 11. Twenty-eight Corvian students competed in the event. We had so many students interested in joining this year that we had three teams. Corvian's middle school teams finished in 2nd and 3rd place overall. At one point during the competetion they had to compete against eachother. 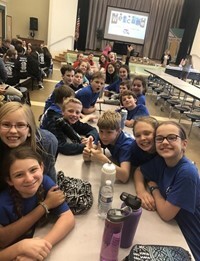 Our elementary COLE team was made up of six fifth-grade students who competed for the first time and finished in the top five teams. We are so proud of our students and cannot wait until next year's event. The administration and staff are excited about bringing the National Junior Honor Society to Corvian Community School (7th & 8th grade) as it fulfills its ultimate goal of helping students develop happy, healthy lives well-equipped for the future. The NJHS chapter of Corvian Community School is a duly chartered and affiliated chapter of this prestigious national organization. Membership is open to those students who meet the required standards in five areas of evaluation: scholarship, service, leadership, character, and citizenship. Student Council is a new club this year at Corvian Middle School. 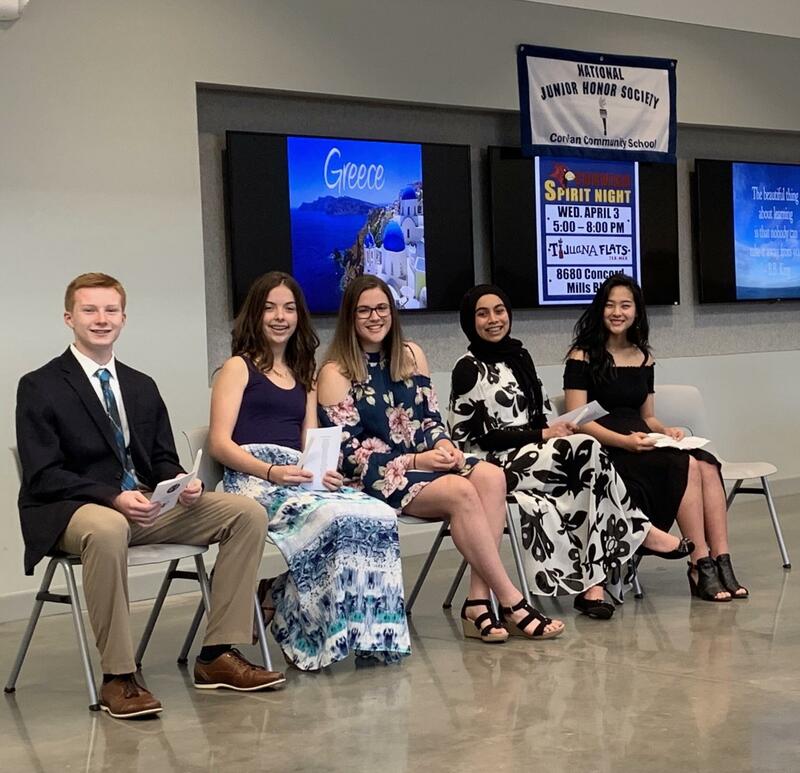 The student body has elected representatives from each grade level. We have a president, vice-president, secretary, and treasurer from the 8th grade. We also have presidents and vice-presidents from 7th and 6th grade. Our elected council members will be required to meet up twice a month to decide on issues like school dances, spirit week, pep-rallies, school concerns, fundraising, and more! Further into the school year we plan to have representatives from each advisory group, as well as a student nominated from each 5th grade class. These individuals are the voice of our student community and with their leadership we hope to bring out our school spirit and find ways to make Corvian an even better place! Yearbook Club is a opportunity to capture all the good sides and best angles of Corvian! Yearbook works together to capture priceless memories at Corvian and design pages that sum up a year full of fun! Learn skills such as photography and graphic design. This club is a great way to get to know students from all grades and even some of the staff as well! Corvian offers After School Enrichment opportunities on Monday, Tuesday, Thursday, and Friday during four sessions during the school year (Fall 1, Fall 2, Winter, and Spring). ASEs are offered by our staff and encourage social, physical, and educational enrichment for our students. From Foreign Languages to Recycled Art to Homework Help to Dodgeball, there is something for every student.